Karan Johar is one of those celebs in Bollywood who is known for his funny wit and humour. Be it a chat show or any other event, he always wins our hearts with his intellectual demeanour. He is currently hosting the talent reality show ‘India’s Got Talent’ on Colors TV along with Malaika Arora and Kirron Kher. If we go through Karan’s Instagram handle, we can see BTS videos from the sets of the show where KJo is seen pulling the leg of his co-judges Malaika and Kirron. In the latest video that is posted by Karan today, we see Karan wishing Malaika ‘morning’ to which she replies saying his (Karan) morning sounds ‘morbid’. Then he praises Malaika saying that she looks like a bubble gum in the pink dress. 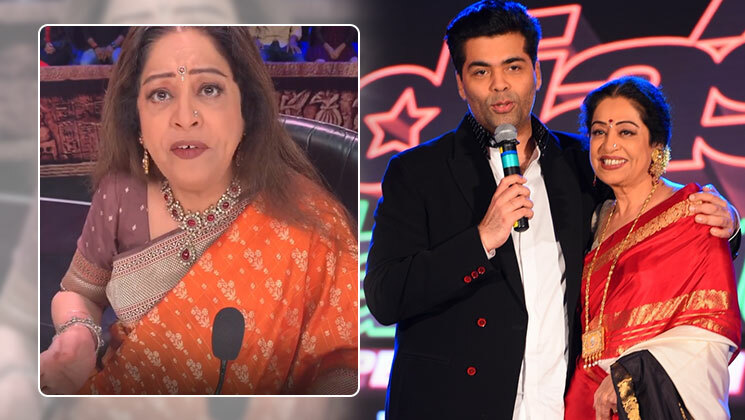 It’s so hilarious and fun to watch the banter between Kirron Kher and Karan Johar. For more videos like this, you can check out Karan’s Instagram page.